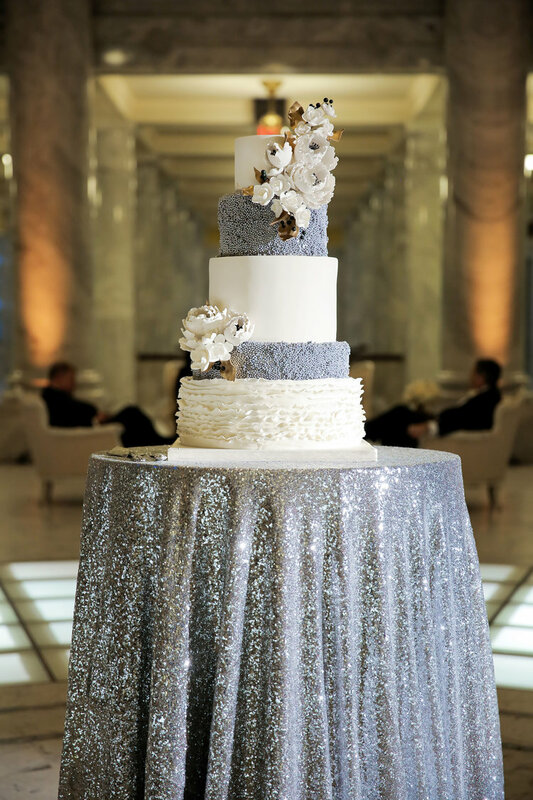 It seems like all that glitters is among the top wedding trends right now! Winter is the perfect season to bring on the glitter and bling, whether it’s cool, icy shades of silver -or- warm, gleaming shades of gold. 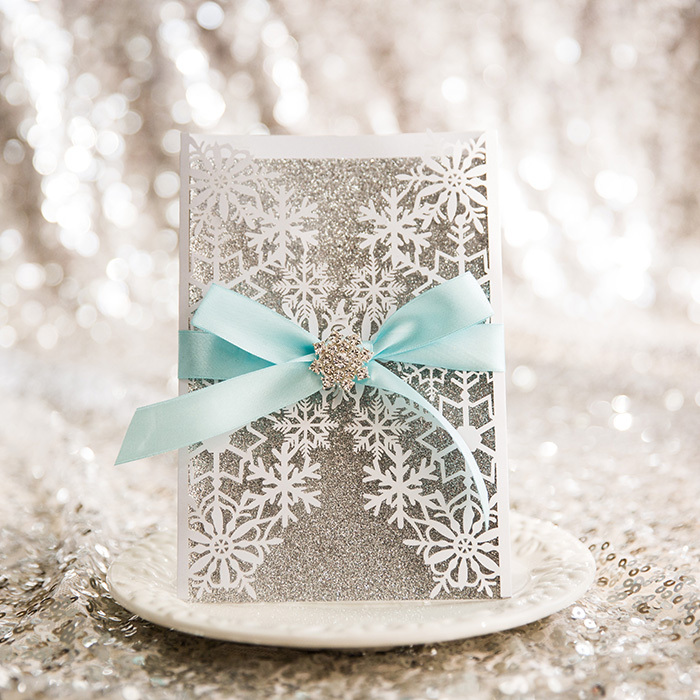 Add some glitter and sparkles to your wedding to make it pop. 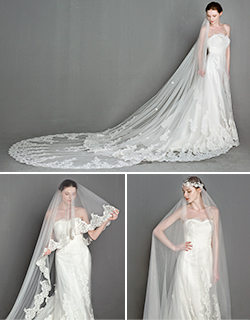 Today we are treating you to some inspirational ideas to make your big day shine! 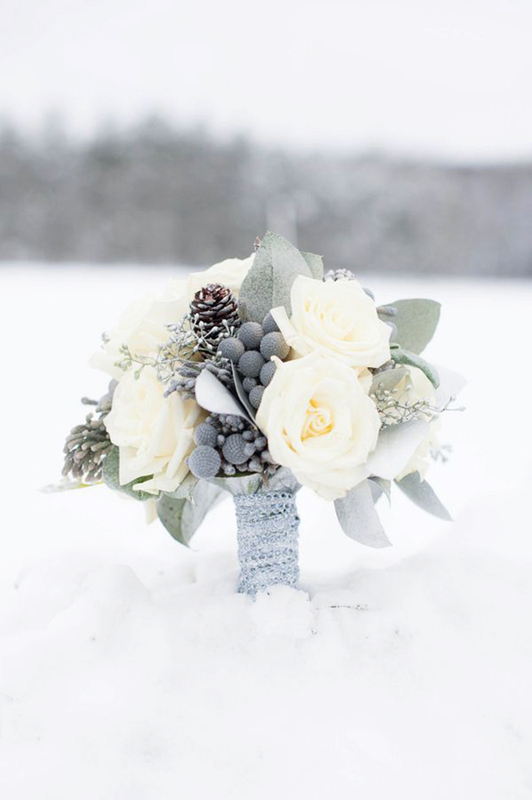 This color is the perfect touch to winter wedding because the Tiffany blue is a bright choice that just work. When everything is covered in white and the trees have lost their green, this makes you feel like you’ve walked into a winter wonderland. 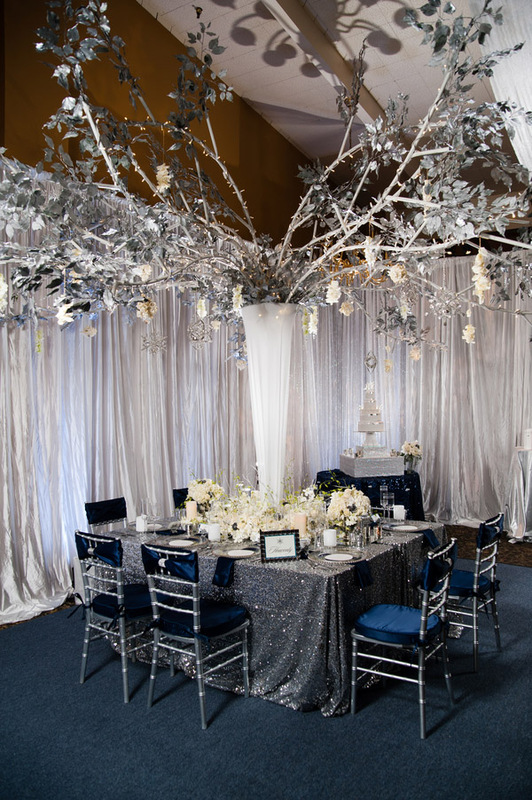 Just like the snow that fell around the Beast’s castle, this theme is perfect for the fantasy wedding you’ve always dreamed of. 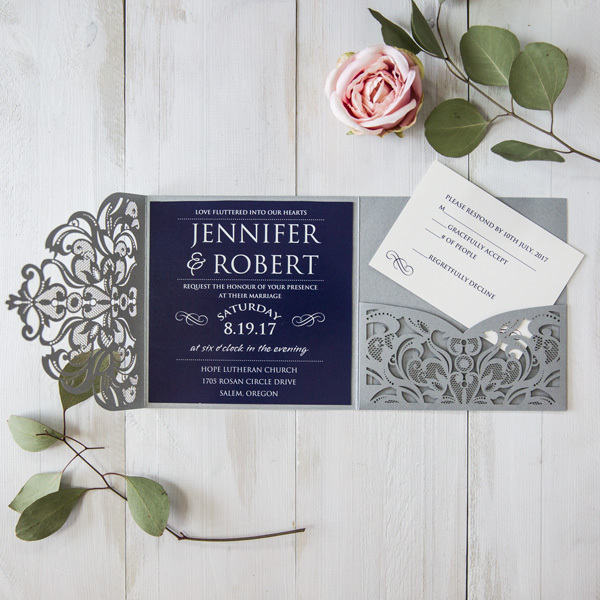 This color palette is amazing because literally all shades of silver work so beautifully together. These pictures are proof of that! 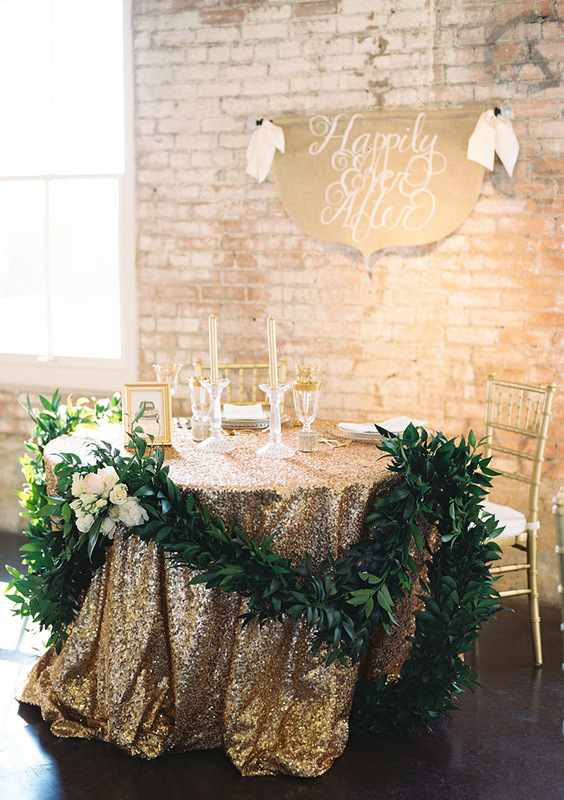 We absolutely love lush greenery and gold together. They balance each other so nicely and it just feels so wedding like. 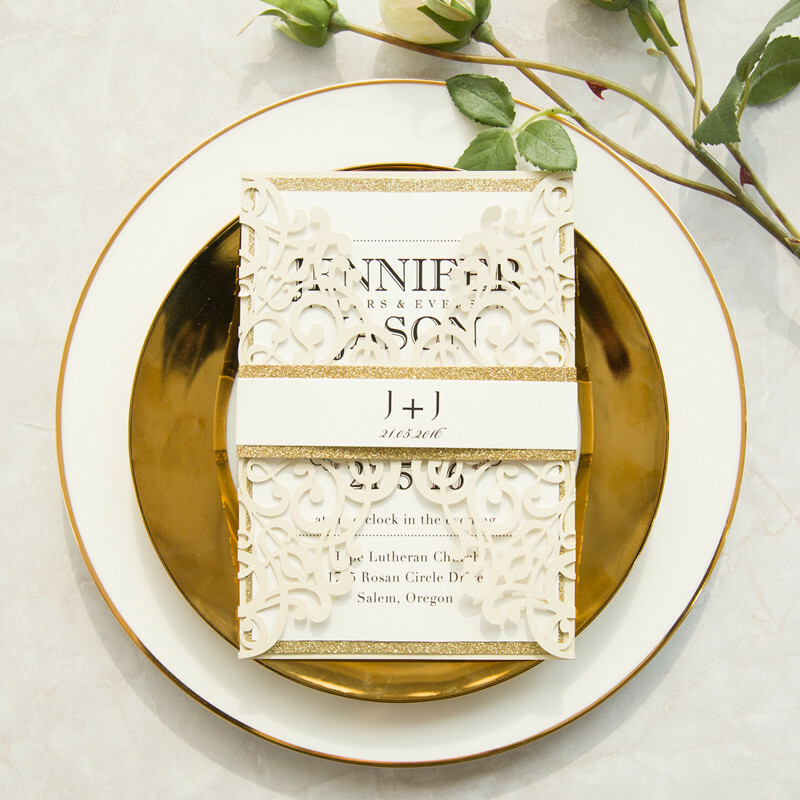 The options on how to incorporate these colors into your wedding is absolutely endless and time and time again this will be a classic pairing. 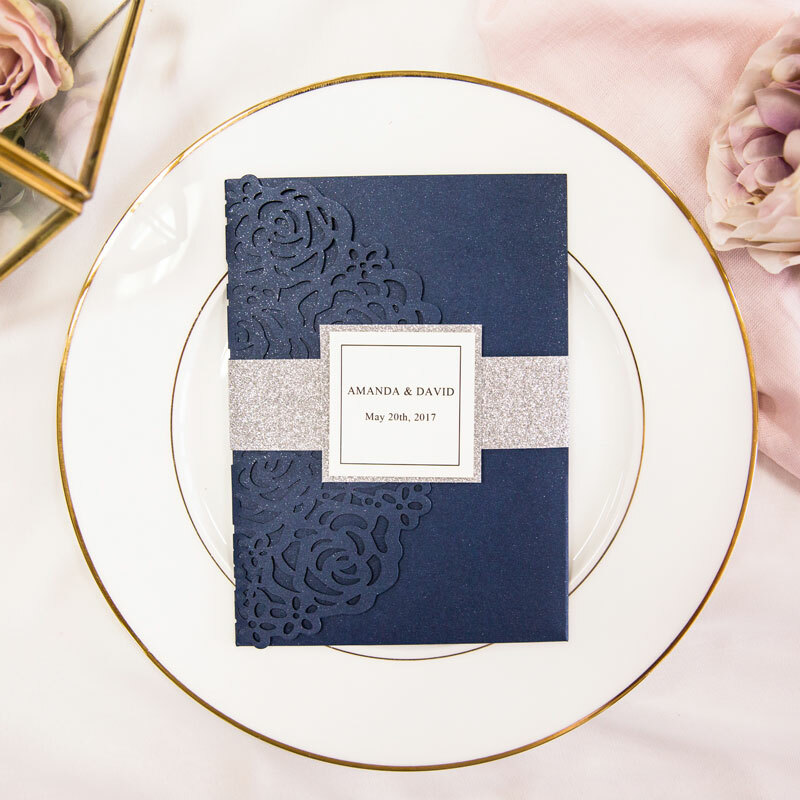 What keeps this color palette from becoming nautical is that touch of sparkle, shimmer, and shine! 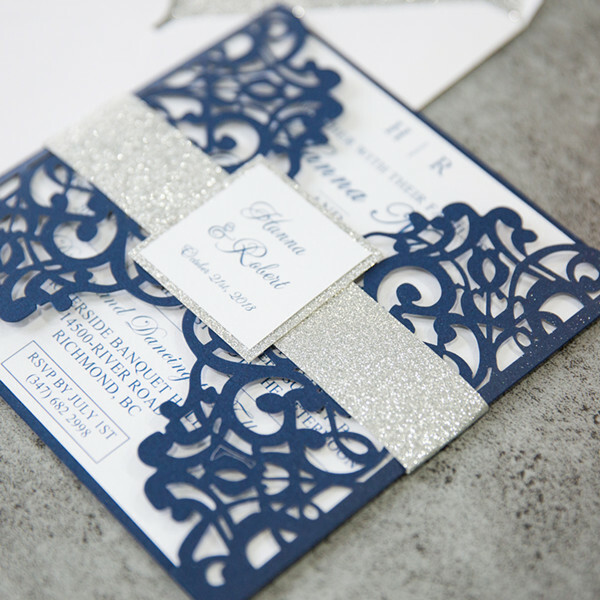 Be sure to add the right touches of bling to your big day to get this glamorous color palette to work. 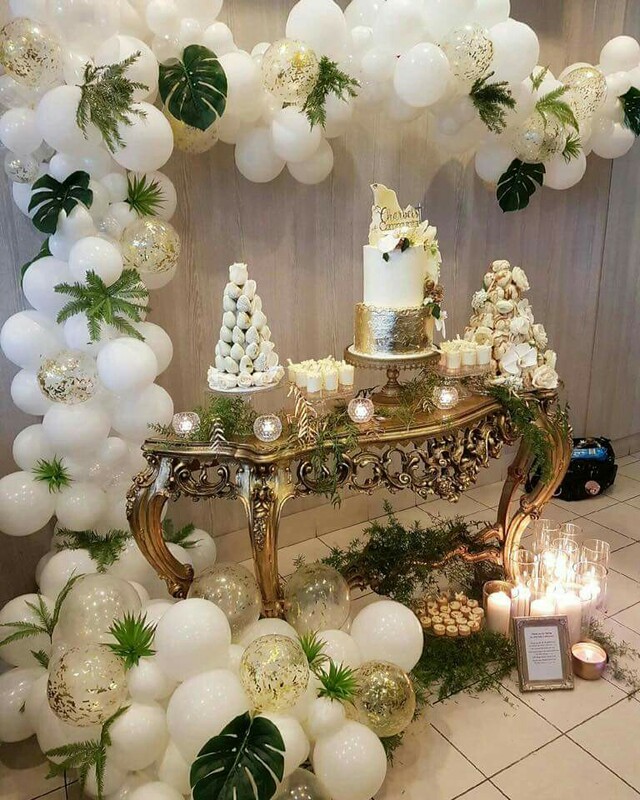 This entry was posted in Glitter and Metallic, winter wedding ideas, Winter Weddings and tagged winter wedding ideas, winter wedding trends. Bookmark the permalink.